“Individual Poster Lot of 9 plus BONUS 10th 3D Poster” Save on this bundled Poster Purchase! 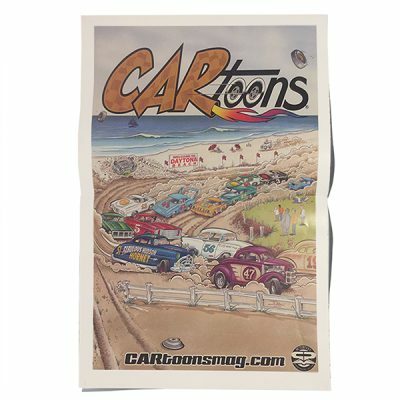 These posters are unstapled, untrimmed and were never inserted into any CARtoons Issues. 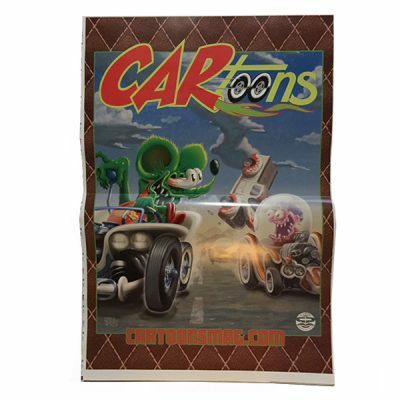 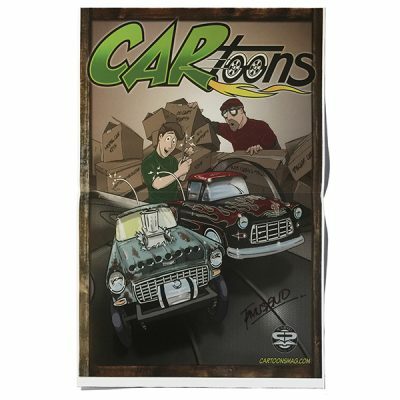 Keep your posters in your CARtoons Magazines intact and purchase these unstapled versions to display as you please. 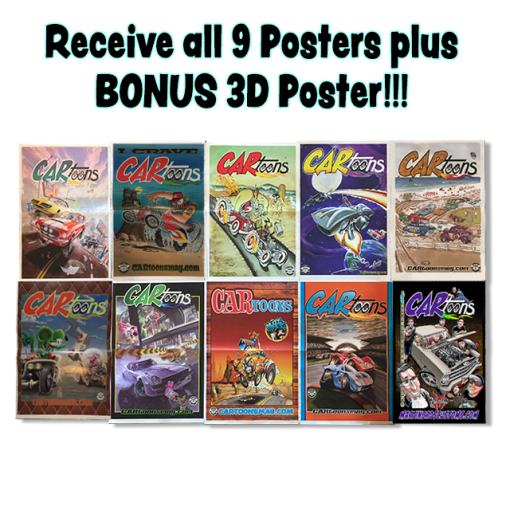 Posters measures just under 10.75″ wide X 16.5″ tall.